The diagram below details pain related to one or more of the following entities – adductor related, pubic related, hip flexor related and inguinal related groin pain. An additional entity of hip related groin pain is also commonly discussed. Adductor related groin pain refers to pain from the adductor muscles or tendons. These muscles pull the leg towards the midline and are vital in single leg stability for straight line running and cutting movements. Adductor related pain is very common in footballers, with research on men’s professional football finding 18% of all football injuries are related to the groin. Hip and groin pain prevalence was 21% players per season (1 in 5) and 66% of these involved adductor related pain. The diagnosis of adductor related groin pain is commonly performed through a number of tests including tenderness on palpation of the adductor longus or other adductor muscles and pain on resisted contraction. Resistance testing in outer ranges and pain on stretch can also be a useful indicator to confirm diagnosis. This battery of testing is often correlated well to positive adductor findings on MRI. Imaging findings consistent with adductor related groin pain include degenerative changes at pubic symphysis, adductor muscle pathology at insertions, higher degrees of pubic bone marrow oedema and the secondary cleft sign. These are signs to look for in adductor related groin pain as up to 71% of asymptomatic soccer players displayed different positive MRI findings. Conservative rehabilitation consisting of strength and stability is the mainstay of treatment of adductor related groin pain. There is moderate evidence for the efficacy of conservative treatment (active exercises and multimodal treatments) and for surgery in patients with adductor-related groin pain. There is emerging research that shows further support for conservative management of long-standing adductor related groin pain. The pelvis consists of two pelvic bones (inominates) connected posteriorly to the sacrum (tailbone) by two sacroiliac joints and anteriorly by the pubic symphysis. The pubic symphysis is a cartilaginous joint, which can be likened to a disc in the lower back between two compressive bone surfaces. The pubic symphysis can be a source of groin pain. It is diagnosed by local tenderness on pubic symphysis and immediately adjacent bone. No specific resistance tests are needed to be positive however it may coincide with adductor related pain and SIJ dysfunctions. Treatment of pubic related groin pain is often managed conservatively with a combination of active exercises, manual therapy and load management. The iliopsoas is a combination of psoas major and iliacus muscles that together perform the action of flexing the hip. In this location is also rectus femoris, one muscle of the quadriceps which straightens the knee and flexes the hip. Iliopsoas related pain often presents with symptoms over the anterior hip and groin, with tenderness with palpation and reproduction on resisted muscle testing and muscle stretch. The inguinal canal is a short passageway that extends inferiorly and medially through the abdominal wall. It has connections to the internal oblique, external oblique and conjoint tendon of transversus abdominus. Inguinal related groin pain refers to pain along or around the inguinal canal not due to hernia, but may involve injury to the soft tissue of the canal, the conjoint tendon or the common aponeurosis from the pubis. It has been developed to replace other synonymous terms such as inguinal disruption, sportsman’s hernia, gilmore’s groin and athletic pubalgia. Diagnosis is made from palpation of pain in the inguinal canal, no palpable hernia present, more likely if pain on increased abdominal pressure or valsava/cough/sneeze. Pain often is worse with exercise, notably with changing directions, cutting, kicking, twisting and is often better with rest. Initial management is conservative with rehabilitation focused on restoring normal lumbopelvic and hip mechanics to reduce the stress through the pubic aponeurosis. Should thorough rehabilitation fail, various surgical options exist, such as repair, inguinal ligament release and adductor tenotomy. 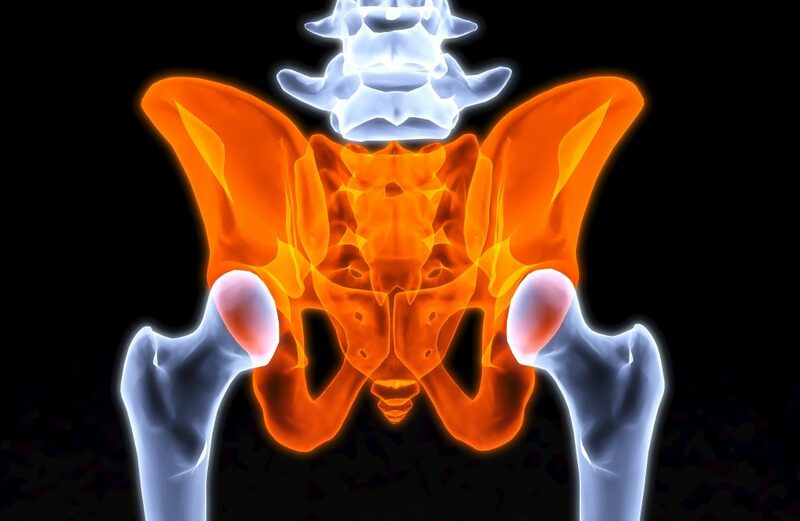 Hip related groin pain is another potential cause of groin pain. The femoroacetabular joint (FAJ) has been mentioned as a common symptomatic source for anterior hip and groin pain. Any of the above areas can occur by themselves or in combination. For more information on hip and groin pain, or to talk to one of our Physiotherapists about treatment options, call us on 9377 2522.